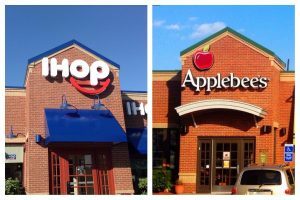 Applebee’s and IHOP are shuttering 160 locations in 2017, said DineEquity the parent company for both on Thursday. A reported by a national newspaper said that Applebee’s would shutter between 105 and 135 of its restaurants prior to 2017 year end. The company said previously that it was expecting to only close between 40 and 60 of its locations. At the same time, IHOP or International House of Pancakes will close between 20 and 25 of its restaurants, which was up from the originally planned number of 18. DineEquity, which announced on Thursday as well that Steve Joyce was hired as CEO, is attempting to slash costs. Shares of DineEquity have lost close to 50% of their value in 2017. Richard Dahl the interim CEO said through a prepared statement that the company was investing in its brands empowerment by improving the overall financial health of the franchisee, closing restaurants that are underperforming and enhancing its supply chain. Dahl’s statement added that the company believes that 2017 will be one of transition for Applebee’s and the necessary investments are being made for the long-term health of the brand and improvement should be seen over the upcoming year. The company did not say as of yet which of its locations were closing, but reports are the closing will be based upon franchisee profitability, brand quality standards, and operational results. The report said that DineEquity sees the possibility of more growth overseas and is planning to open more than 125 new Applebee’s as well as IHOP restaurants worldwide in different locations. The changes made by the parent company have come as the most recent American Customer Satisfaction Index was released that found restaurant in the fast-food industry have scored higher than rivals in the full-service industry. Eateries such as Applebee’s were down 3.7% to score just 78 out of a possible 100, while chains that were fast-food remained at their previous 79 in the latest survey that represented more than 5,500 consumers from June 2016 through May of 2017. The report from the ACSI suggested that millennials were spending less on dining out, and preferred the fast-casual locations such as Panera or preparing their own food in their homes. The industry is going through a period of competition as companies lower costs to keep margins higher yet need to offer specials and discounts to entice more diners to their restaurants.